The most common question from owners of aggressive dogs is: "what's my aggressive dog's prognosis?" It is obvious there's a lot of hope in this question and certain expectations. Most likely, the owner is hoping to hear a reassuring "your dog will be fine, it's only a phase" but unfortunately that is unlikely the answer. Fact is, ethical behavior professionals will never make any promises or guarantees on the outcome of behavior modification. Dog behavior is unpredictable, and when it comes to dog aggression, there are so many factors at play, that even saying "maybe," and raising a bit of hope, is not a good approach. For more on this read, my article "Can dog aggression be cured once and for all? A dog behavior professional making claims such as "your dog's aggression will be fixed, guaranteed" therefore, should raise a big red flag. Often, these so-called "professionals" use harsh, training techniques often involving shock collars. Because, they're aware of the fact that punishment is prone to fallout, they will often back up their training with free follow-up sessions. If you are wondering about the prognosis of your aggressive dog, there are several factors to keep in mind. And it's not only about your dog. Several other factors revolve around other things that are not related to your dog. This article will tackle a few factors that come into play when it comes to a dog aggression prognosis. Of course, each dog is differently, so the following paragraphs, need to be interpreted with a grain of salt. So you know you own an aggressive dog. Next, you may contact a dog behavior professional who will ask you several questions. The answers to these questions can help him/her gain a better assessment for his/her case study. While it's true that some professionals will not dig much deep into the issue because they believe that the underlying cause of aggression is not relevant since the "treatment" protocol remains the same, many professionals feel that a deep assessment reveals many crucial elements that are detrimental on the behavior modification outcome. Obviously, aggression towards humans is taken much more seriously than aggression towards other dogs. Owners of dogs aggressive towards people need to really put an extra effort in finding a reputable dog behavior professional with years of experience. A behaviorist such as a board-certified veterinary behaviorist or a certified applied animal behaviorist are good option. You may want to skip your vet or the average pet store pet trainer for a serious issue as such. Next, we'll see some factors to consider when it comes to a dog aggression prognosis. Do you have a hard time accepting your dog's aggression? What are your expectations? As a dog owner, you may wish your aggressive dog would behave just like your next door neighbor's social butterfly pooch. Don't compare your dog with other dogs and don't fall into the trap of setting unrealistic expectations. A good part of the outcome of dog behavior modification relies on an owner's expectations. If a dog behavior professional tells you that there is no cure for aggression, you must accept that and stop dreaming of Cujo morphing into Good Dog Charles. Even before starting behavior modification, a reputable dog behavior specialist will ask you to have your dog see a vet to rule out medical causes for dog aggression. If an underlying medical problems is found, the prognosis is very bright, since often the aggression dissipates the moment the medical cause is taken care of. Of course, on the contrary, if the medical cause is not treatable, the prognosis can be relatively poor. The prognosis of inter-species aggression has a poorer prognosis if your dog has a bite history, and the bite level of your dog can also tell a whole lot about how things may turn out. Dogs with high bite levels, tend to have a poorer prognosis in respect to dogs who have more bite inhibition. See the bite table below for a better idea on dog bite levels. Nipping a behavior in the bud is crucial when it comes to an aggressive dog's prognosis. The earlier,the better. The more a dog engages in aggressive behavior, the more he'll revert to that aggression. Dog aggression easily becomes a habit and the chemicals released in the brain can make reverting to aggression similar to an addiction. Also, the more a behavior is rehearsed the more it is reinforced and the bigger chances for it to generalize. When your dog manifests the first signs of aggression, is he capable of gaining his composure back if you give him a command? or is he totally oblivious to your commands? Good control has a better prognosis than a totally out of control dog over threshold. How trainable your dog is and how well he responds to food is important. Does your dog like to be with you or is independent? Aloofness can have a lower success rate. Also, are you able to predict what triggers the aggression? If you know your dog doesn't like people wearing hats, you are better in control of the situation compared to a dog that doesn't follow a specific pattern. 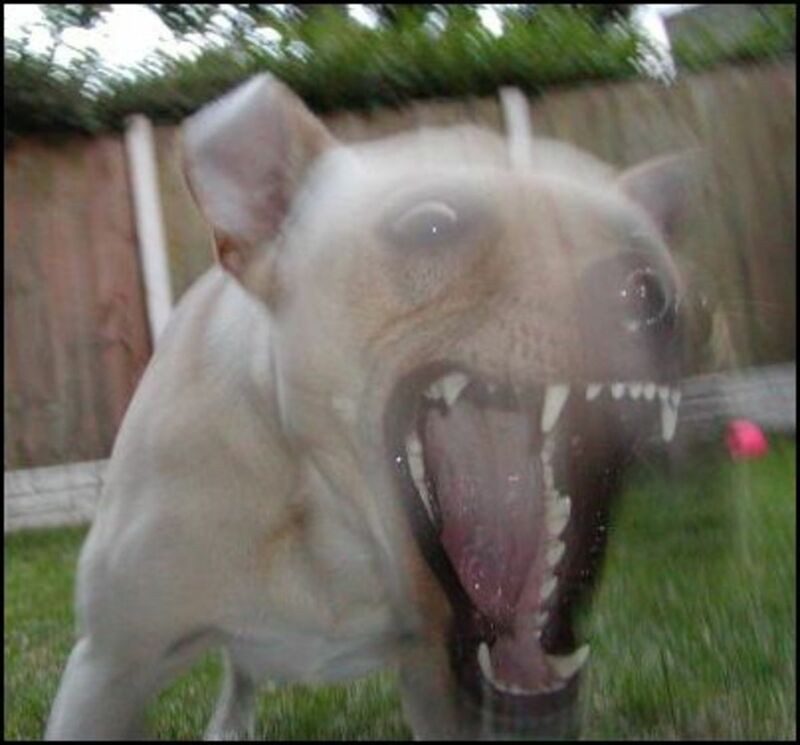 If your dog has a long history of aggression, your dog has generalized his fear to a variety of other stimuli. The prognosis for dog aggression lowers considerably if there are young children in the household. Many dogs are re-homed because they are under too much stress due to the presence of young children. Many times, there's just too much at stake because the risk of a dog biting a child are too high. If there are elderly members, handicapped or disabled members, the prognosis can be also poor. In the case of aggression among dogs living in the same household, the prognosis also lowers especially when proper management is not feasible. If a larger dog attacks a smaller dog, predatory drift may be at play and because this behavior is instinctive and the harm done to a small dog is easily fatal, the prognosis tends to be poor. Size does matter when it comes to a dog aggression prognosis. Of course, any dog can bite, but it's obvious that a molosser dog can certainly do much more damage than a toy dog. This explains why you never see headlines of little dogs mauling people. Harsh training methods can really put a dent on the prognosis. Indeed, punishment based techniques can cause fallout and can even exacerbate the aggression problem. It's important to find a reputable dog behaviorist who employs science-based methods that aren't harsh or based on coercion. Finding a good behavior professional really goes a long way. Last but not least, a dog owner's financial situation and time constraints can also play a role in the prognosis of dog aggression. Countless dog owners put a dog to sleep because they cannot afford having the dog undergo extensive health testing to rule out health problems, and/or the costs associated with seeking help from a dog behaviorist. Level 1: Air snap, dog doesn't make contact with the skin. Dog engages mostly in ritualized aggression. Level 2: Single bite. The dog's teeth makes contact with the skin but does not puncture it. There may be nicks and slight bleeding though due to the teeth's lateral action. Level 3: Single bite. The dog's teeth punctures the skin, but the puncture wound isn't deeper than half of the length of the dog's canine teeth. If the victim pulled away, there may be lacerations from the teeth's lateral action..
Level 4: Single bite. The dog's teeth cause puncture wounds that are deeper than half of the length of the canine teeth. There may be bruising after a few days. Level 5: Multiple bites with level 4 puncture wounds. Thankfully, most dog bites belong to level 1 and 2 bites. These fellows generally have quite a good prognosis, according to veterinarian, author and trainer Dr. Ian Dunbar. Level 3 prognosis is good to fair, but "treatment' is more extensive and owner compliance is important. Level 4 dog biters are very dangerous and the prognosis is poor because of the associated risks. Dog behavior professionals may ask you to sign a waiver that you acknowledge the risks and take full responsibility. 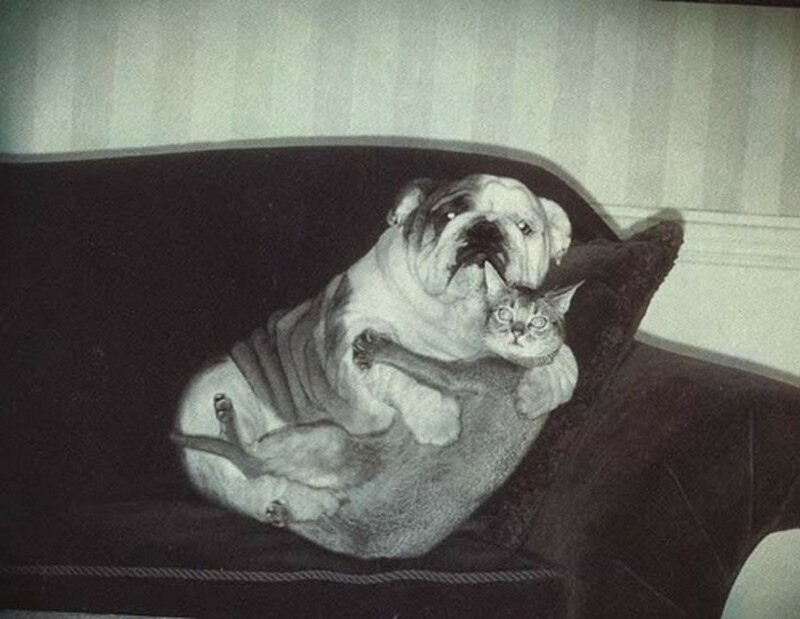 Dogs are managed strictly. Level 5 and 6 biters are extremely dangerous and euthanasia is often recommended. * Note: this bite scale applies to bites towards humans, obviously it is just a guideline and doesn't apply in the same matter to bites towards other dogs as dogs have tougher skin and fur. Disclaimer: this article is not to be used as a substitute for professional behavioral advice. If your dog is aggressive make safety top priority and consult with a dog behavioral professional. By reading this article, you accept this disclaimer. Dog Dominance: Myth or Truth? 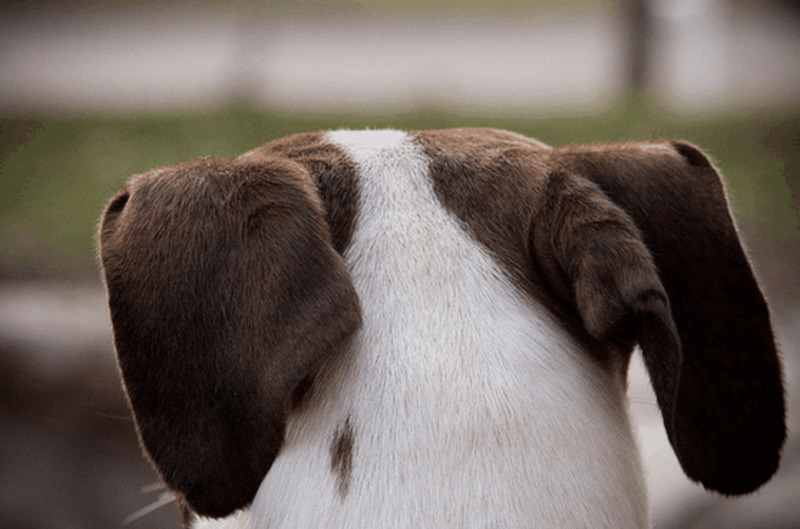 Should dogs be prescribed drugs for behavioral problems? Are behavioral problems a result of brain chemistry? How does the dog's brain work? Interesting explanations and thoughts on this touchy subject. Is it true that you can reinforce aggression? Learn what the pros say and why using positive punishment is counter-productive in many ways. What are fear periods in dogs and when do they take place? 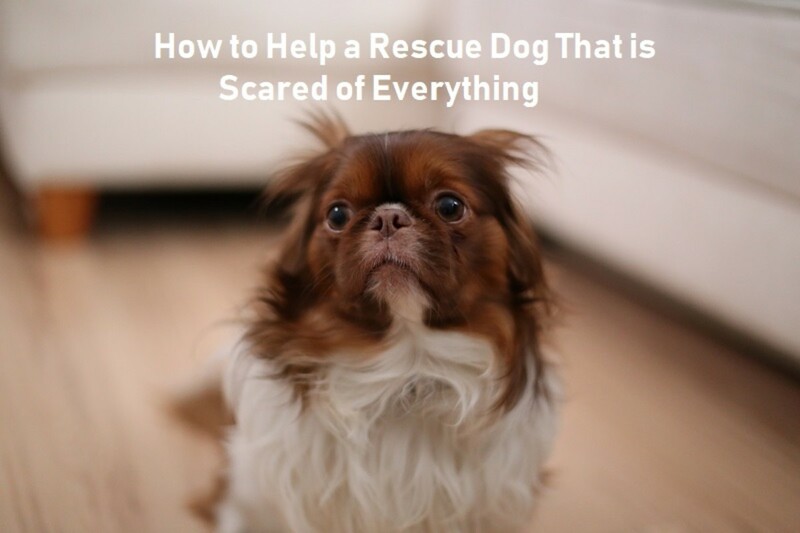 Learn how to cope with them and help your dog overcome them. These bite levels are sort of scary. I can understand why some dog owners are not equipped to deal with them. Thanks for stopping by Monis Mas! What often looks like aggression is often caused by fear, and this is why gentle, approaches work best for behavior modification. Voted up and interesting. Your articles are so well researched, it is a real pleasure to follow you, dear alexadry. This little dog on the first photos looks do scared, poor baby. Hisandhers, stop by my hubs on behavior modification for aggressive dogs. In particular look for "open bar closed bar, counterconditioning and desensitization, threshold levels and my article on conditioned orienting response. These are all positive training methods that help change the dog from the inside out, best wishes! Clucy, I have had clients contact me for help because they got bit in the process of using "Cesar's Ways". Alpha rolls, collar grabs, e-collars and the bite thing he does with his hands are a recipe for disaster. That's why he gets bit so often. 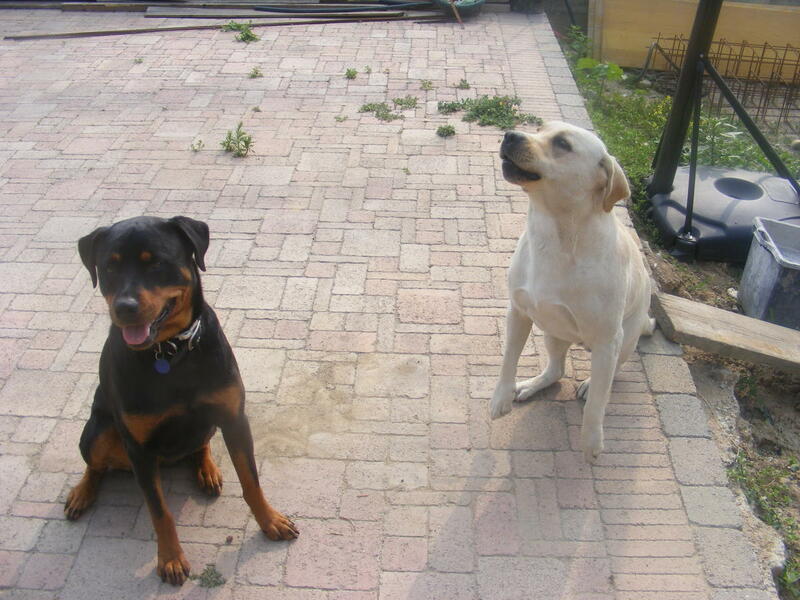 Since most aggression is based in fear, it's natural for dogs to become defensive when approached in such a way. I am happy you found a positive way to help your girl and turn things around! I adopted a puppy who was abused and started to turn very aggressive. I contacted trainers who told me she was 'too far gone in aggression' to turn back. I then sought out alternative healing and methods, and with positive training, her aggression completely went away. Ceasar is very scarey in his training methods boardering on abuse. Victoria Stillwell is very good and shows positive training technique. Great hub! My dog has recently started exhibiting aggressive behavior towards other dogs and I have been trying to educate myself as much as I can. I particularly enjoyed the breakdown of the different levels of biting. I'm glad to see that my dog is only at a Level 1. There's hope for him yet! Oh so interesting and very useful to many dog owners I am sure. Thanks for stopping by Dr Mark. It's like comparing apples to oranges. Cesar Millan has no formal professional education, he's not a trainer and can't call himself a behaviorist, and he's definitively not a 'dog psychologist," he's basically a self-taught guru. I see him more as a charming guy that knows how to run a show and draw an audience. Most of his shows show dogs reduced to a zombie-like state that he has the courage to call"calm submissive". His lack of knowledge about dog body language and learning theory makes me cringe. Patricia McConnell is a whole different story, she has an education, she has a PhD, and is a Certified Applied Animal Behaviorist. If I had a dog with a behavioral problem, that's who I would see. Thanks for the votes up! I have enjoyed many of the Cesar Millan videos but that is one problem I have with that trainer--unlike Patricia McConnell and other realistic behaviorists he will not admit that some dogs have a poor prognosis. If a dog will not bite me, that does not mean the dog is cured, and like you mentioned, factors like little kids in the household may set the dog off. Interesting article. Voted up and shared.